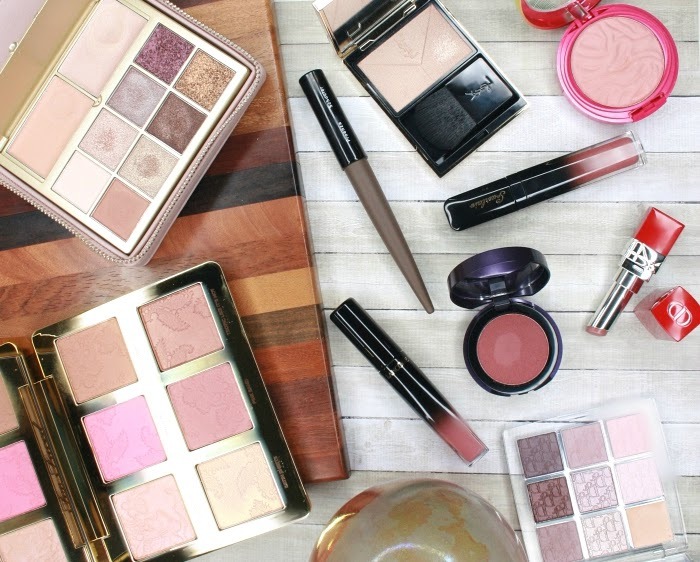 Every time I review a cream eyeshadow (or cream blush for that matter) I feel the need to start by stating my love for everything creamy one more time. So here we go: I love cream stuff. Cream cheese frosting of course, but mostly in the makeup world, cream eyeshadows (and blushes). It's an addiction, and I'm hoarding so many that I have a shoe box full of jars, sticks and tubes (it's an Irregular Choice box, so it looks cooler than it sounds!). 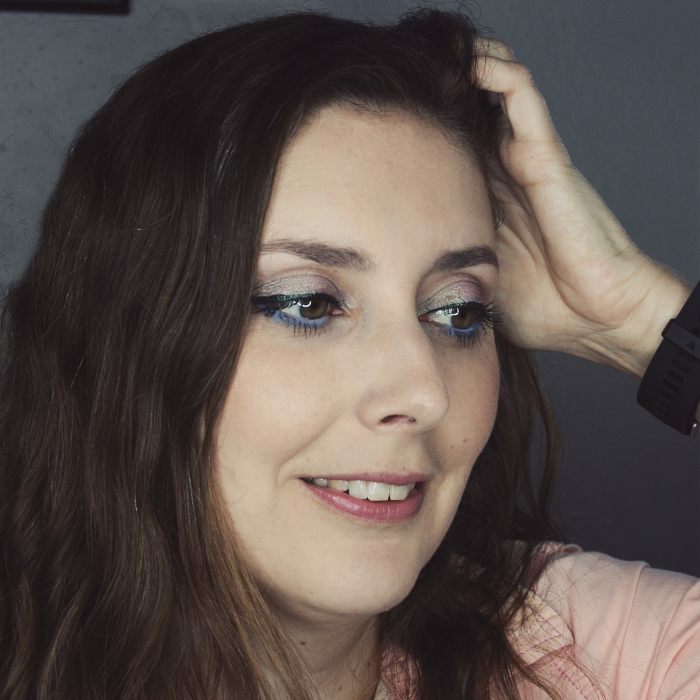 Now that you've got some background info about me and my cream stuff obsession, I have to tell you this, because I can't keep if for the end: this Giorgio Armani Eye Tint that I'm showing you today, it's my favorite cream shadow ever. There, I said it. You might want to continue reading nonetheless, you know, to learn why. First, there's the beautiful tube this shadow comes in. It's long, tapered, round at the center and oval at the ends, simple yet very elegant. Tubes are not the most common packaging for cream shadows, they usually signal a texture that's going to be more liquid-y, but they're not that rare either: see the gorgeous Sephora + Pantone shadows from a few years back, or more recently, the YSL Full Metal Shadows. When you open the tube, you discover a long and flat doe-foot applicator that sits at an angle. It makes it really easy to get some product out of the tube and onto your lid, but I don't actually apply the shadow with it. I dab a few dots on my lid, then blend with a fingertip, which is incredibly easy and efficient. Some cream shadows can be a pain to blend because they're too dry or too slippery, but Armani Eye Tint has the perfect texture that blends beautifully without ever fading or looking uneven. It doesn't dry too fast, so you have plenty of time to work, but it doesn't crease in the process. This is due to the excellent pigmentation, perfect opacity and very creamy, fluid texture of the product (which appears to be unscented by the way). 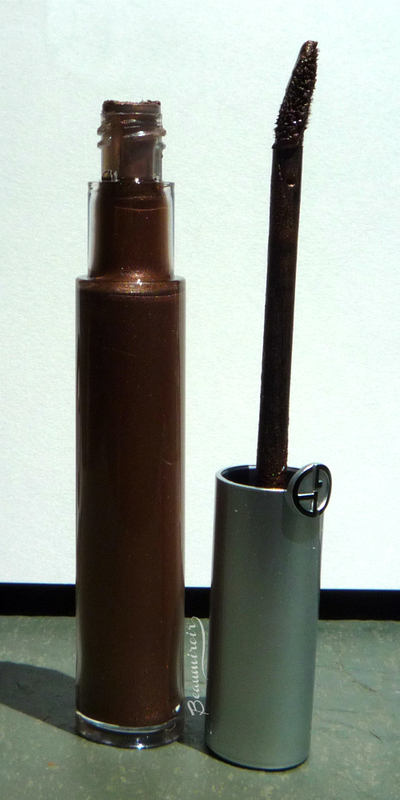 Once dry, it feels exactly like a powder eyeshadow, and it won't budge. It stays just as intense and spectacular the entire day on me. As usual I was unsure what shade I should get, but this time, I really made a good choice! 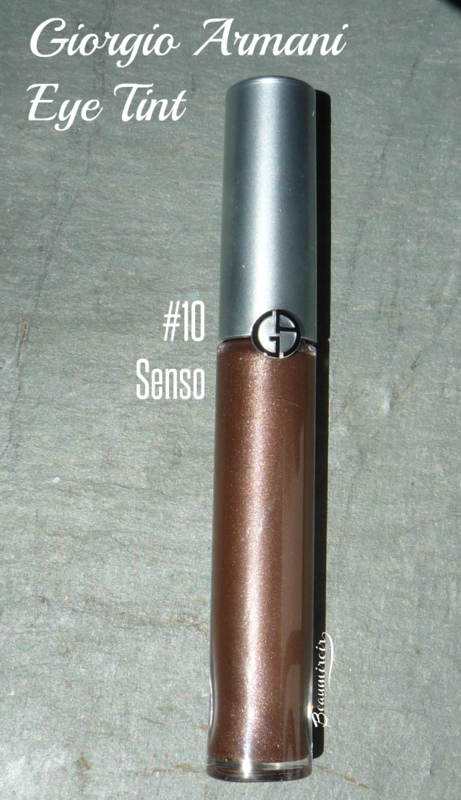 Senso, shade #10, is a gorgeous warm, plummy brown with a pearly finish. It's an incredibly beautiful color, and the warm purple undertones make the green in my eyes really pop. I've noticed that if I apply more product for a fully opaque result, it gets more shimmery, to the point that it's almost metallic. You can also apply less for a shimmery wash of warm brown. No product is perfect, and I have two small issues with the Eye Tint. One is packaging related: the amount of cream shadow that the applicator picks up in the tube varies considerably every time you pull it out. That's kind of annoying because I don't realize it until I see myself in the mirror and notice that one of my eyes is more intense that the other. It's a quick fix though, I just have to add a bit more to get both eyes to look similar. 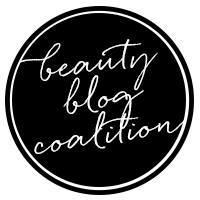 The other issue might be more concerning for some: Senso tends to make my eyelids look drier, as it slightly emphasizes texture. This might be specific to this shade, which, like I said, is very shimmery. For me it's not a deal-breaker, but if you have crepe-y, dry lids, you might want to try it out on your eyes to see if it's a problem for you. Overall: no surprise since I couldn't help telling you in the beginning, this is my favorite cream eyeshadow formula to date. The luscious creamy texture and stunningly beautiful result of Senso make it my new go-to shadow for an intense, sultry smoky eye. I now have my eyes on another shade, Flannel, which looked like a drop-dead gorgeous duo-chrome when I swatched it at my local counter! I just recently bought my first liquid eye shadow and love it. Cant wait to try more. Oh cool! Which one did you buy? Holy crap Senso is so pretty on your green eyes!!! I have it as well and love it a lot. For the moment I am not tempted by another shade (I also own Green Iron), but I think GA did a great job! Senso purplish tone does play really well with the green in my eyes! Have you swatched Flannel? My eyes came out of their sockets when I did, lol! 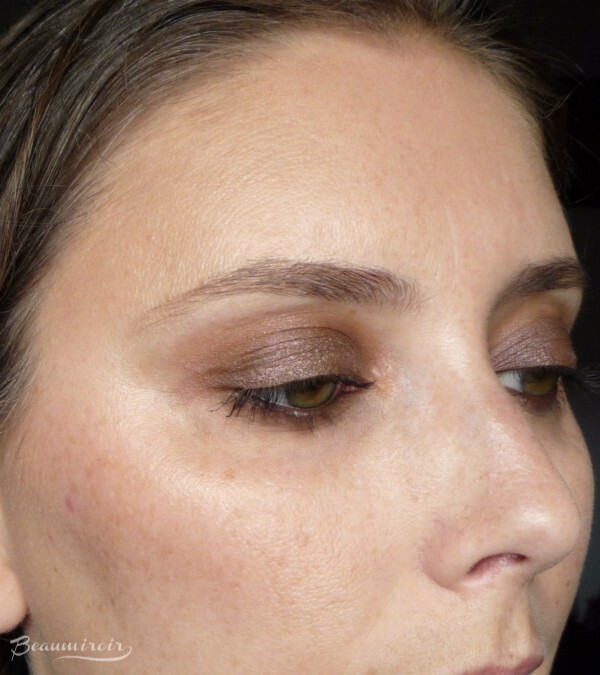 Currently loving Kiko's cream shadows, well worth a look! Lol, I'm not a fan of classic frosting (too sweet) but when there's cream cheese involved, that's another story. Aaaah Kiko! The brand I miss the most from Europe. There are only a couple of stores in the US (on the East Coast and Florida I think), but I'm keeping my fingers crossed in the hope that they'll eventually open an online store. Pleeeease Kiko! Ah yes, I know what you mean by the formula emphasizing every crease and bump... For that reason I'm usually not a fan of liquid eyeshadows. It does tend to happen a bit more with liquid shadows, but I sometimes run into that problem with very shimmery powder ones too. Nice Eyeshadow suits you well with your green eyes. Thanks! It does bring out the green in my irises nicely! It looks lovely on you! That swatch is tempting me! Thanks! If you have a chance to see these Eye Tints in person at a counter, you should really check them out. They're so, so beautiful. 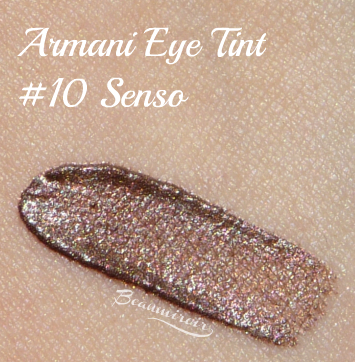 This looks SO beautiful on you, and you have me curious about the eye tints now :) I wonder if they have a copper/bronze/gold shade, I'd be all over it! They have one called Cold Copper, and Rose Ashes also looks like a warm gold. You should seriously go swatch it in a store. When I did my jaw literally dropped. That's how gorgeous they look!